Spot gold was at its highest relative to platinum on record this week as institutional and retail investors have piled into bullion following the shock referendum verdict. 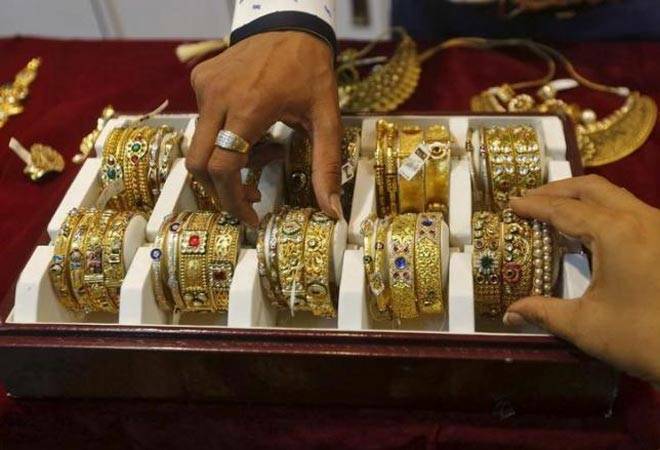 Gold rebounded on Wednesday from its losses in the previous session on investor demands for safety as uncertainty because of Britain's vote to exit the European Union continued to pressure financial markets. Bullion fell 0.9 per cent on Tuesday as investors booked profits after a Brexit-driven rally that pushed prices up to their highest since March 2014. Gold, which hit a high of $ 1,358.20 on Friday, has risen 24 per cent so far this year. Spot gold rose 0.6 per cent to $ 1,319.50 an ounce by 0404 GMT, up for a third session in four. "Despite Tuesday's impressive bounce in global equity markets (leading to gold's modest retracement), we are not sure whether these patterns will stay in place over the balance of the week and would not be surprised to see more weakness in equities going into Wednesday's session," said INTL FCStone analyst Edward Meir. "As a result, gold could recover the ground it lost on Tuesday, with geopolitical headlines outside Europe possibly providing an additional element of support." Jiang Shu, chief analyst at Shandong Gold Group, said gold could trade between $ 1,400 to $ 1,450 an ounce in the next 2-3 weeks provided Brexit is not seen as a long-term threat to global economic development. "If Brexit is seen severely impacting the market, central banks will step in to calm the markets, which would not be good for gold," he added. European leaders have asked Britain to act quickly to resolve the political and economic confusion unleashed by its vote to exit the European Union, after the IMF said the uncertainty could pressure global economic growth. Britain's vote to leave the bloc could pose a new drag on the U.S. economy at a time when momentum in the U.S. job market may already by slowing, Federal Reserve governor Jerome Powell said on Tuesday. Among other precious metals, spot silver rose about 1.5 per cent to $ 18.01 per ounce and tread close to Friday's one-and-half-year high of $ 18.31. Platinum climbed 1.1 per cent to $ 985 an ounce and palladium was up 0.9 per cent to $ 572.80.